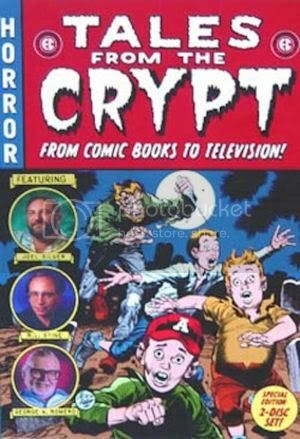 They were the horror comics of the 1950's and they served as inspiration for a generation of writers and filmmakers, including R.L. 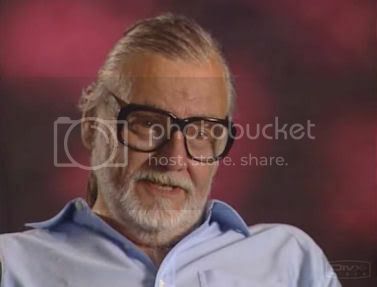 Stine, Joel Silver, John Carpenter and George A. Romero. 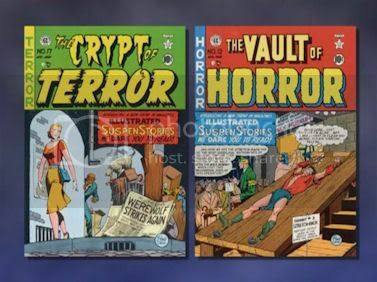 Tales From the Crypt: from comic books to television tells the story a famed EC Comics publisher William M. Gaines and details the controversy which erupted a half century ago over his ground-breaking horror, crime and science fiction comic books. 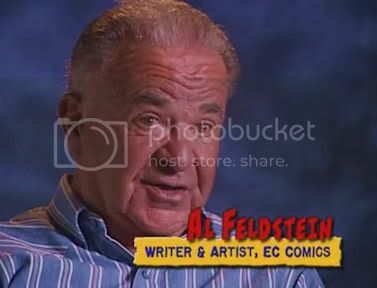 Using hundreds of comic book images and numerous clips from film and television series, the program highlights the life, death and rebirth of the most influential comic book company of all time. Thanks goes to LeFrog for providing me those DivX, I don't know if they are his rip, but since his not making the topic, I've though that I could make it , so here it is ! Enjoy and thanks buddy ! Last edited by EvilDeadlyImmortal on Mon Jul 28, 2008 9:41 pm, edited 3 times in total. Yeah, thanks for the extras! You're all welcome ! It's a pleasure !